The HoneyBaked Ham is a store and food retailer that sells a wide array of desserts, side treats, cooked entrees, sandwiches, ham and beverages. Since the restaurant was founded in 1957, it has expanded to over 400 locations around the United States. Below are the latest HoneyBaked Ham menu prices. Made fresh to order with signature HoneyBaked meats! The modern HoneyBaked Ham was established by John Harry Hoenselaar. When John turned 18, he was hired to work in Honey Baked Ham Company owned by William Hubenet, and John became known for his ability to cut ham properly, but he wasn’t content with that. In 1936 he began working on a ham cutting machine, and he actually showed off one of his creations in the 1939 New York World’s Fair. In 1957, Hubenet called John and asked him if he was interested in buying the Honey Baked Ham Company for $500. John agreed and the new store reopened in October 1957. Today the company is known for offering a variety of treats including its famous specialty sandwiches like the Roast Beef & Cheddar, Mediterranean Veggie and Build Your Own Sandwich. The store also has signature breads and sandwiches such as the Turkey Bacon Ranch, Smoked Turkey Salad and Ham Classic. The HoneyBaked Ham also has special entrees like the Turkey Breast Smoked and BBQ Baby Back Ribs. 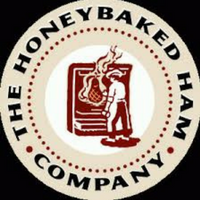 For more information about HoneyBaked Ham locations and the latest news and updates, visit their official website. How much is a pot roast and a Turkey for 20 people?